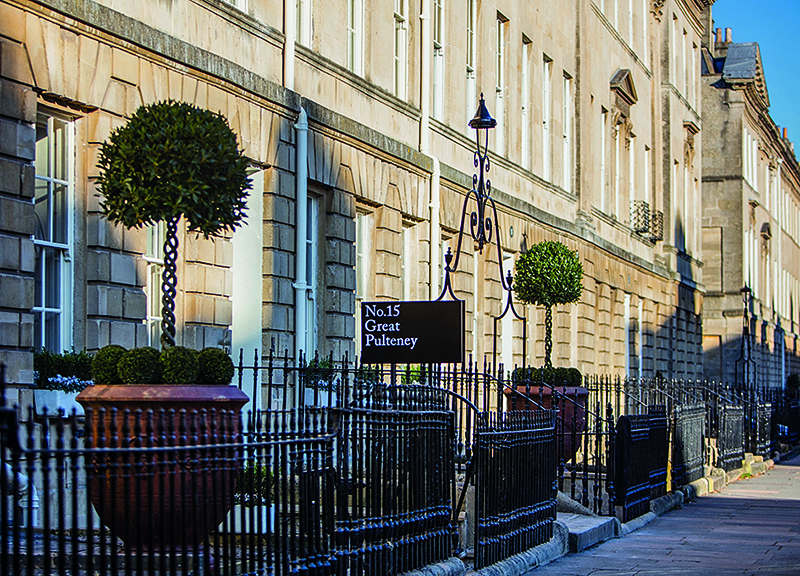 No.15 Great Pulteney is Bath’s quirkiest boutique hotel. On the city’s grandest street, concealed behind the honeyed stone facades of three Grade I-listed Georgian townhouses, is a whole host of curiosities and intriguing art collections. Stepping inside, guests enter what feels like a quirky private residence with an array of whimsical touches. Check in at an oversized doll’s house, sink into a sofa and admire the eye-catching art, and choose from the deck of cards menu before ordering a drink from the bar. 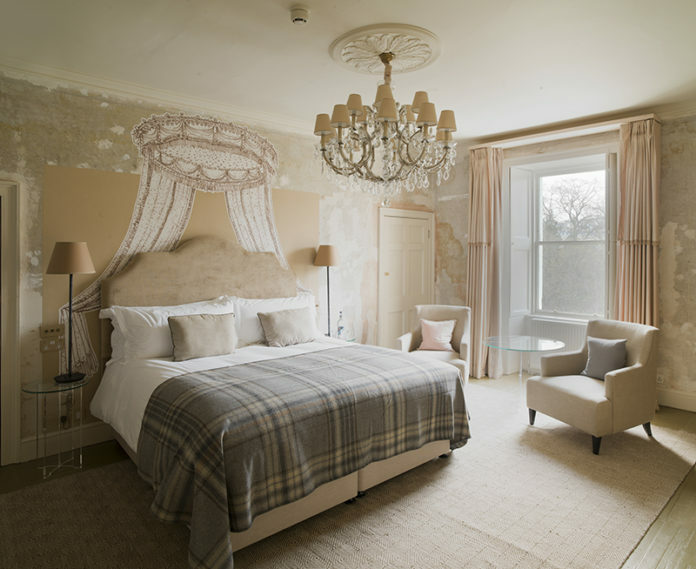 Captivating collections of objects – from kaleidoscopes to musical instruments – as well as open fires and sparkling chandeliers create a truly unique experience. Cafe 15 is the perfect classic-meets-contemporary space for a relaxed and delicious meal, specialising in seasonal dishes with a twist, with each plate designed to let the quality of the ingredients shine. Charming micro-spa Spa 15 has four themed treatment rooms, a large cedarwood hot tub within exposed stone vaults, a barrel-shaped sauna and a separate steam pod. Holistic and results-driven treatments from ila and Natura Bissé are delivered by highly-skilled therapists. For your chance to win, fill out the form with the answer to the question. Closing date for entries is 12pm GMT 3 January 2019. The prize is to be redeemed by 2 January 2020 and is valid for Sunday–Thursday stays only, excluding holiday periods and subject to availability. The prize is non-transferable.